Natural materials like wood and stone work so well in the bathroom, creating a look and feel that mimics that of a spa. 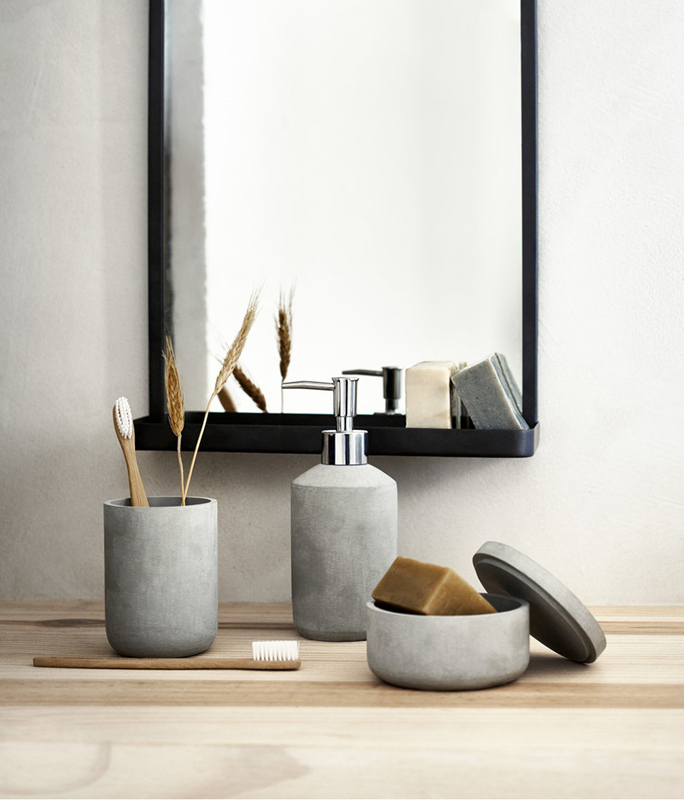 H&M has made it simple to achieve this look with faux-stone counter accessories and mirror for your bathroom but you can also add a wooden bathmat and knitted towels from Iris Hantverk as well as bamboo toothbrushes. Create the look for yourself with some of the items below!